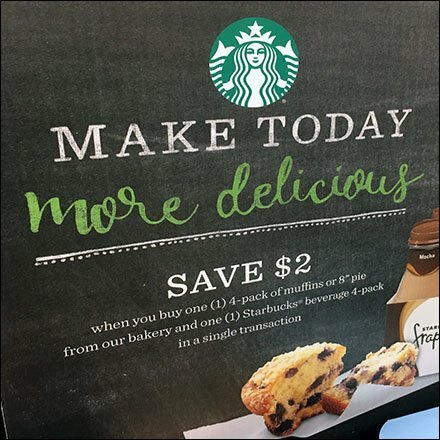 You decide the direction of this Starbucks Coffee Cross Sell To Bakery. Is it the coffee cross sell to the bakery, or a bakery department cross sell to Starbucks? In any case the savings is $2, so all to the good. I might have boosted the size of the discount offer rather than rely upon the Starbucks brand as attention and purchase compeller. But maybe that is too hard sell for an upscale brand. Some actually defend their brands from discounting. Consider this Starbucks Coffee Cross Sell To Bakery display in the gallery of images. Seen at Weis.